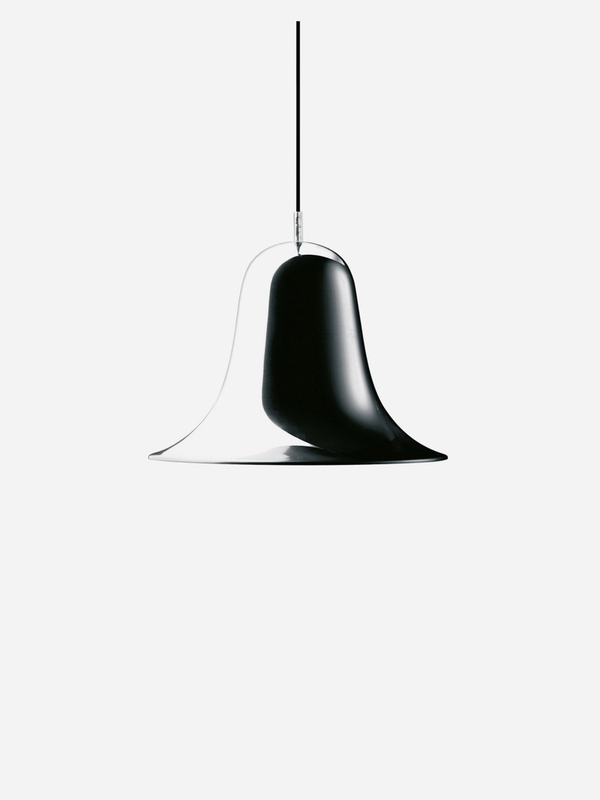 Pendant lamp designed by Verner Panton in 1980. 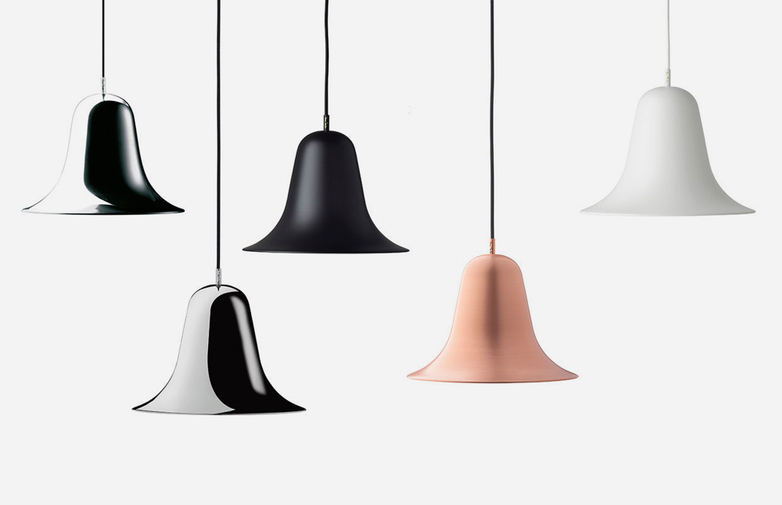 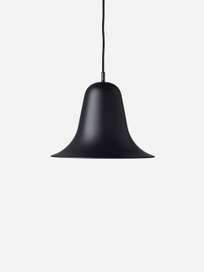 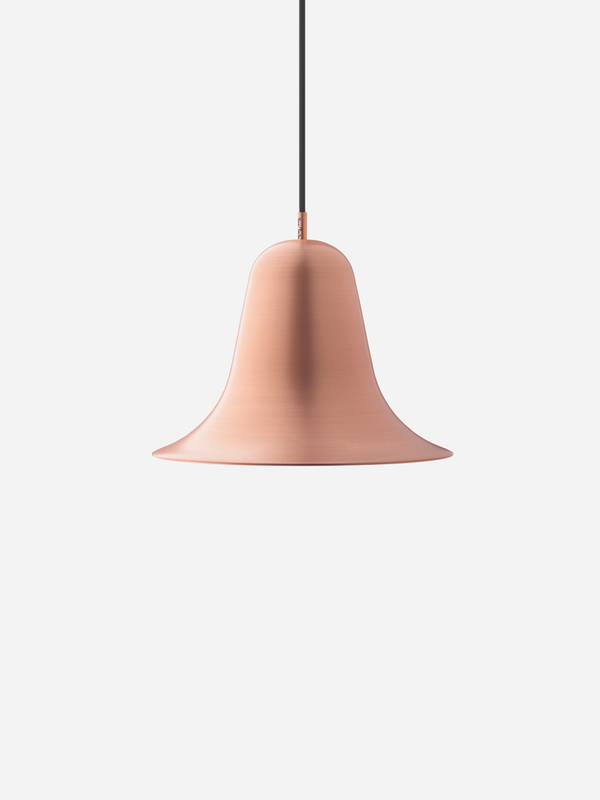 The lamp is has a characteristic bell-like shape mounted with the opening facing downwards. 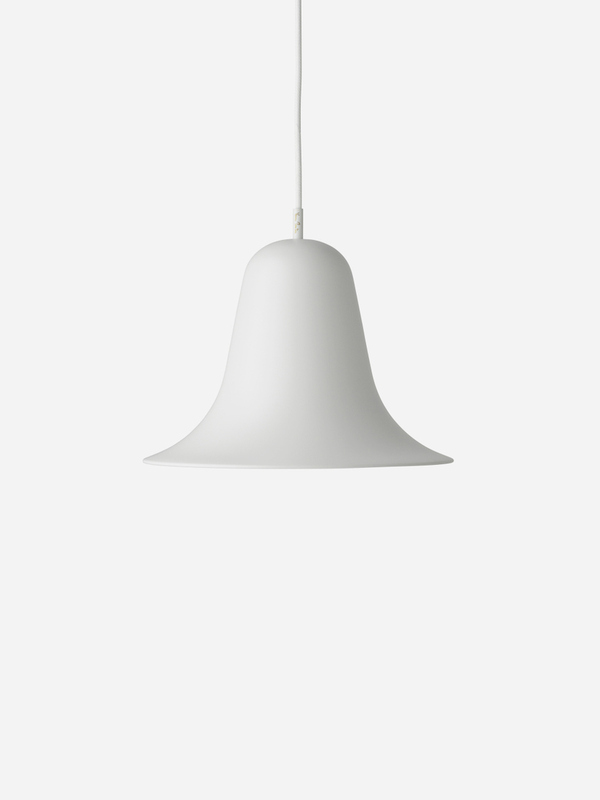 The Pantop series feature lamp shades of various finishes with a chrome ceiling canopy.